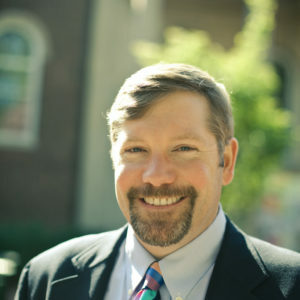 Patrick J. McGuinn is a professor of political science and education at Drew University and a senior research specialist at the Consortium for Policy Research in Education. He holds a PhD in government and a MEd in Education Policy from the University of Virginia and has held fellowships at the Institute for Advanced Study at Princeton, the Taubman Center for Public Policy at Brown and the Miller Center for Public Affairs. Patrick’s first book, No Child Left Behind and the Transformation of Federal Education Policy, 1965-2005, was honored as a Choice outstanding academic title. He is also the co-editor of The Convergence of K-12 and Higher Education: Policies and Programs in a Changing Era (Harvard Education Press, 2016) and Education Governance for the 21st Century: Overcoming the Structural Barriers to School Reform (Brookings Institution Press, 2013). Patrick has published many academic articles and book chapters and has produced policy reports for the Brookings Institution, the American Enterprise Institute, the Center for American Progress, the New America Foundation and the Thomas B. Fordham Institute. He is a regular commentator on education policy and politics in media outlets and has been recognized as one of the nation’s top Edu-Scholars by Education Week for the past eight years. He is a former high school social studies teacher and is the father of four daughters in public school.